Urquhart Castle is one of those Scottish tourist attractions that seemingly everyone in the world has seen photos of. Nestled on the banks of the pitch-black waters of Loch Ness, the castle is the perfect location to whip out your camera and really capture the spirit of Scotland. Although it’s a popular tourist destination today thanks to its beautiful and peaceful setting in another life the castle played a pivotal role as a defensive position for both the Scots and the English, where bloody battles eventually led to its partial demolition during the Wars of Independence. 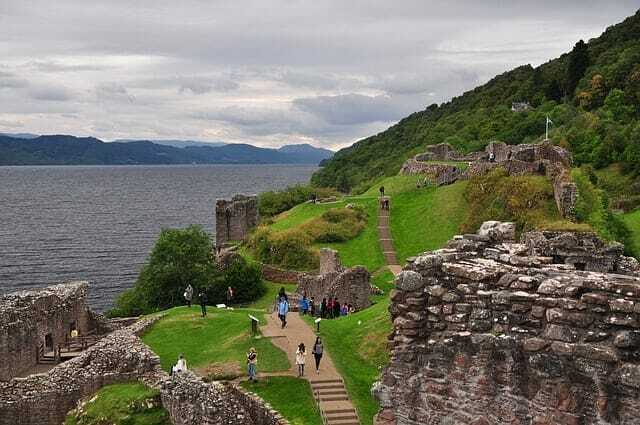 These days you’re more likely to see busloads of invading tourists rather than invading armies descending on Urquhart Castle but it’s well worth visiting, especially if you’ve got an interest in history like me. The views across Loch Ness from the castle walls are superb so if you visit this attraction make sure you’ve got your camera handy. Oh, and don’t forget to grab a coffee and cake in the cafe – they do seriously good food in there and the view on the terrace is fantastic. 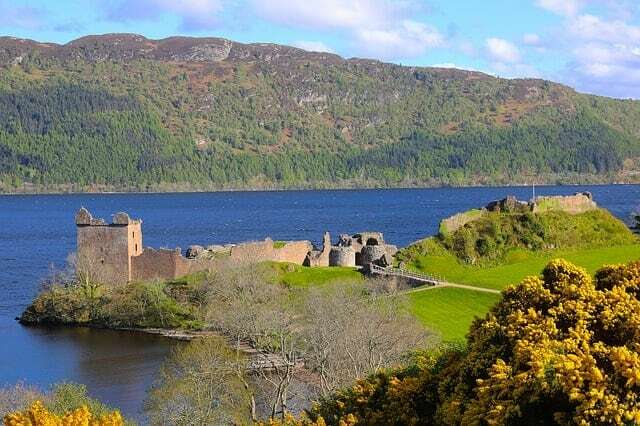 Due to the close proximity of both Inverness and Fort William, Urquhart Castle is easily accessible from either town and it provides the perfect stopping-off point for visitors who want to experience Loch Ness in all its glory from both the northern and southern ends. Once at the site you will find a sizeable car park with accessible footpaths leading through the visitor centre and out into the grounds surrounding the castle ruins, while the castle itself can be explored in nearly all areas, with the gloomy prison cell and the imposing tower being particular highlights. The castle is now a ruined shadow of its former glory partly due to weather erosion, with the majority of the damage caused by the English military force that was stationed there in the 17th-century. The castle had changed ownership between the Scots and the English for many years but when the English troops finally left in 1692 they decided to prevent the fortress being subsequently used by Jacobite forces so they demolished most of the castle walls with explosives. However, much of the structure still remains intact and there’s plenty to see and do at the site, and the maze-like warren of walls and corridors are a great place for families to explore together. 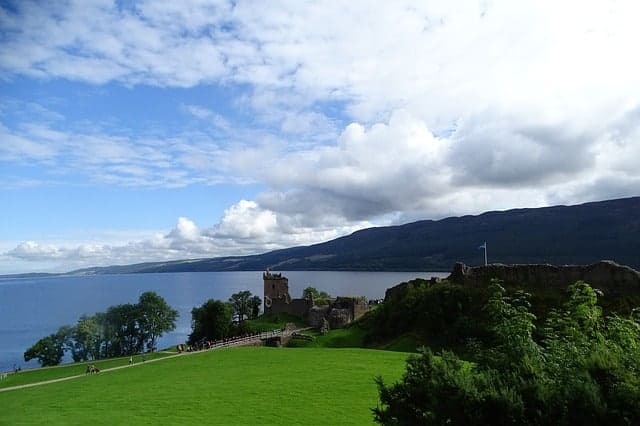 Mums and dads will love the view stretching across Loch Ness from the battlements of Grant Tower and the kids will be fascinated by one of the few working stone-throwing trebuchets in Scotland. 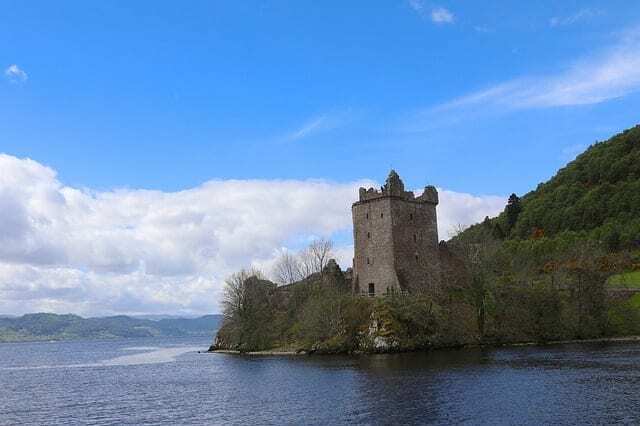 Perhaps the best way to see Urquhart Castle is from Loch Ness, and if you take one of the many loch cruises from Fort Augustus you will be able to see the castle from an entirely different perspective as the tour boat sails past the ruins. The castle’s popularity with tourists means that it’s been re-designed to be accessible for all ages, and easy-access paths run throughout the site so that even those with limited ability will be able to enjoy the location. The visitor centre is also one of the best attached to any castle in Scotland, with an extensive gift shop, exhibitions explaining the castle’s history, and a restaurant serving food and drink both inside the centre and outside on the terrace overlooking the loch. 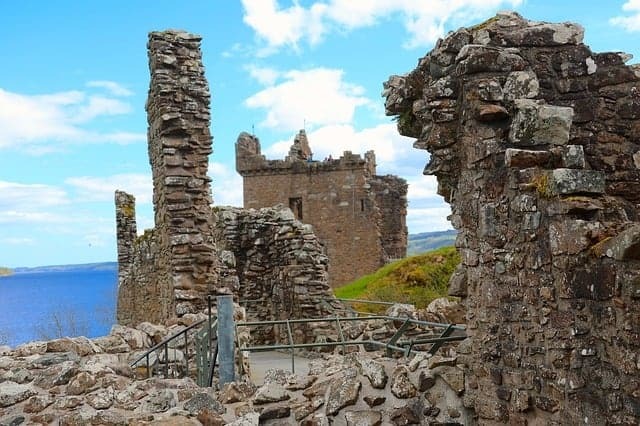 If you’re intending to spend any time at Loch Ness then a visit to Urquhart Castle has to be at the top of your list of attractions to visit. Urquhart castle is approximately mid-way between Fort Augustus and Inverness, on the west side of Loch Ness, near Drumnadrochit village. Approaching from Fort Augustus at the southern end of the loch, follow the A82 for approximately 17 miles. Urquhart Castle is managed by Historic Scotland, which allows visitors to explore heritage sites either with an annual membership pass or by paying a separate fee at each site.